Father Marko Matic blessing the Badnjak inside the Pavilion at St. Sava Church, Merrillville, Indiana. Join us for the celebration of Orthodox Christmas beginning with Divine Liturgy taking place at 9:00 a.m. and Great Vespers taking place at 6:00 p.m. Friday, January 6 at St. Sava Serbian Orthodox Church at 9191 Mississippi Street, Merrillville, Indiana. 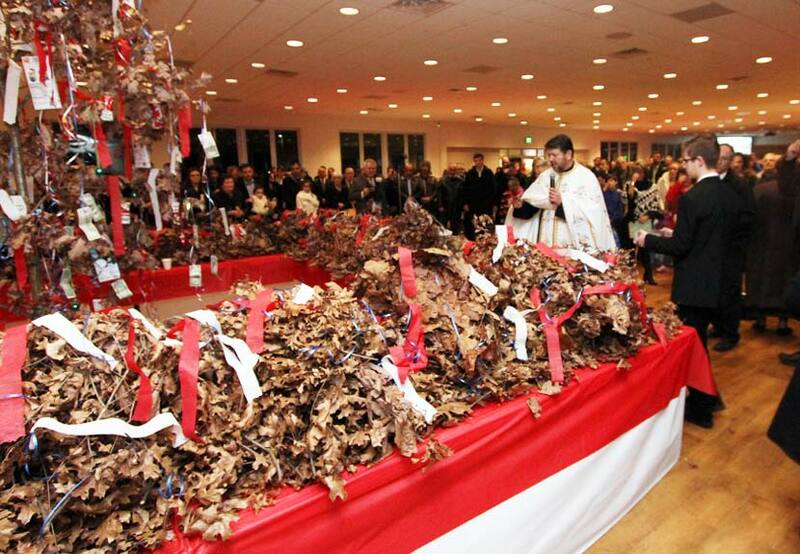 The Blessing and burning of the Badnjak will take place immediately following the Great Vespers. 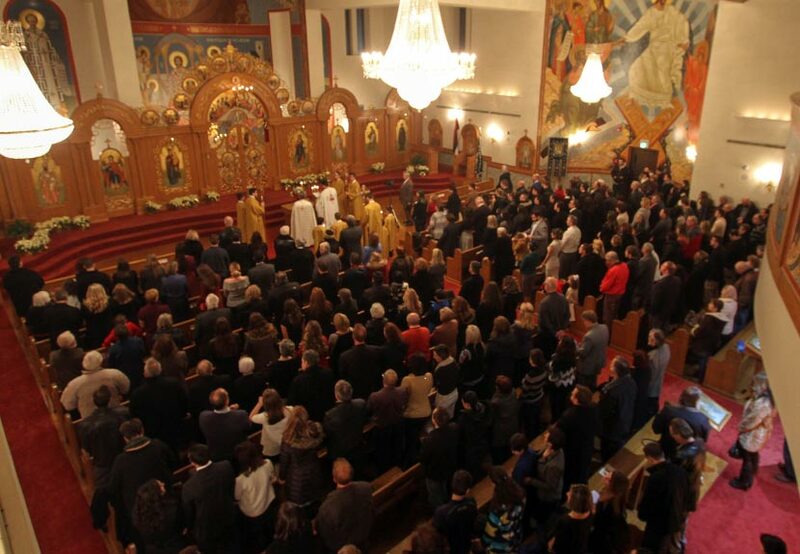 Divine Liturgy will take place Christmas morning beginning at 10:00 a.m. Saturday, January 7. The complete listing of services taking place during this special time of the year is listed below. 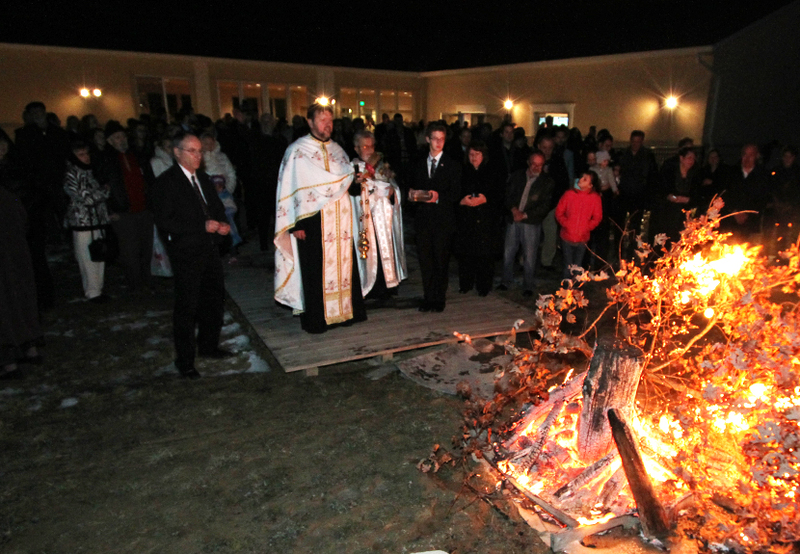 Burning of the Badnjak outside the Pavilion at St. Sava Church, Merrillville, Indiana. Have you ever brought a Badnjak into your home? Do you know that the Badnjak is the finest and foremost custom of all the many traditions by which our people enhance the Christmas celebration? 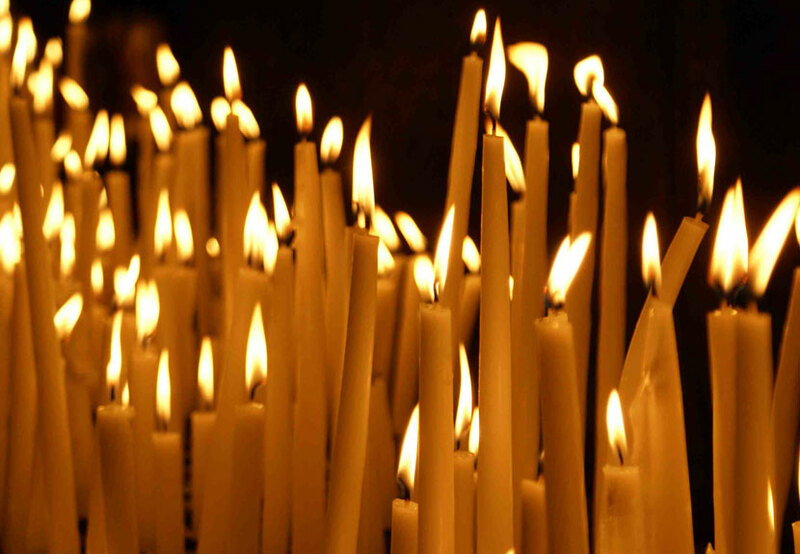 Click here to read an article explaining the Spiritual Meaning of the Badnjak. CHRISTMAS EVE: Divine Liturgy at 9:00AM. Great Vespers at 6:00PM. 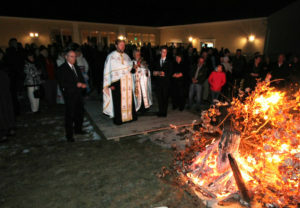 Blessing and burning of Badnjak. БАДЊИ ДАН: Света Литургија у 9:00 ујутру. Празнично вечерње у 6:00 увече. Освећење и паљење Бадњака. SUNDAY 32nd AFTER PENTECOST: Divine Liturgy at 10:00AM. Saint Sava Celebration. Blessing and cutting of Slava Kolach; Dinner and Program. НЕДЕЉА 32. ПО ДУХОВИМА: Света Литургија у 10:00 ујутру. Светосавска Прослава. Сечење Славског колача, ручак и програм.